CM KCR neglecting Harish Rao? CM KCR neglecting Harish Rao? CM KCR neglecting Harish Rao? Hyderabad, Mar 26: In the recent times, senior Telangana Rashtra Samithi legislator Harish Rao is nowhere seen in the party activities, which looks like the former minister is growing dimmer out of the party moderately. At a time when the TRS leadership has stepped up its campaign for the Lok Sabha elections with an objective of capturing 16 out of 17 Lok Sabha seats in Telangana, Harish Rao neither participated nor got noticed. Offcourse, the senior Telangana leader's name wasn't there in the list of 20-star campaigners for the Lok Sabha elections announced by TRS president and chief minister Chandrasekhar Rao on Sunday. 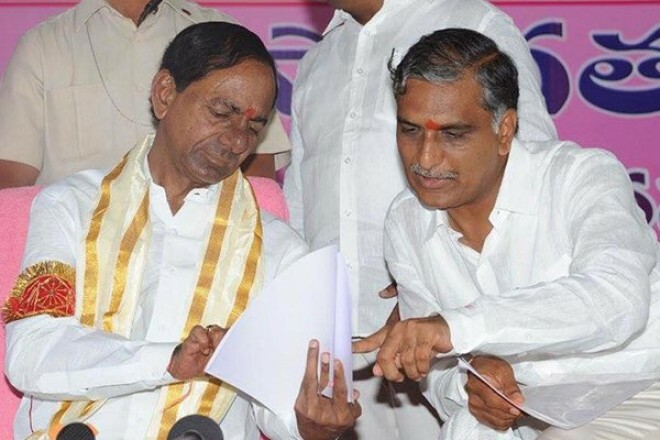 However, the list includes KCR, his son and TRS working president KT Rama Rao, secretary general K Kesava Rao, MLC Seri Subhash Reddy and five other secretaries, which clearly indicates that KCR has steadily chosen to sideline Harish in the party, yet the fact that the latter has played an exceptional role in the party's victory in the assembly elections. Reportedly, KCR knows that Harish has complete control over the party in Medak, Zaheerabad and parts of Karimnagar parliamentary constituencies and his campaign would retrieve a big gain for the party. But, the information from political insiders is....that KCR does not want Harish to retain his hold since he fears Harish Rao had the dormant to split the party in case such a situation arises. So, it might be one of the reasons for confining Harish to Siddipet constituency. Even in Siddipet, the local leaders have been clearly informed that they should come to KTR for any work, instead of going to Harish Rao. These kinds of low level-treatment situations might make the person to revolt against and the same will happen even after a lot of care and control also.